In my opinion the pendulum has swung too far the other way because these days US legislators are in the pockets of organisations like the Recording Industry Association of America (RIAA) and Motion Picture Association of America (MPAA) and have enacted legislation with ultra-harsh penalties completely out of proportion for even small breaches of copyright. In an ironic twist yesterday’s biggest pirate is today’s global copyright enforcer trying to make countries like China crack down on piracy of intellectual property (IP) like Movies, Computer Software and Books. 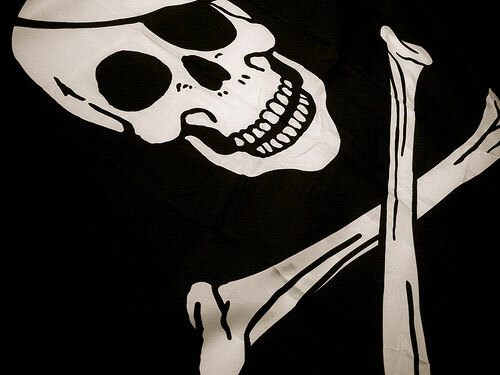 Some commentators say that China will get more serious over time in attempting to reduce piracy of IP due to pressure from trading partners like the USA, external bodies like the World Trade organisation and local Chinese producers of Music, Software, Movies, Music etc who want to earn money from their work rather than seeing pirated copies sold on the streets for $1. For more information listen to this BBC World Service podcast exploring the world of intellectual piracy – the stealing of ideas.